It takes an effort to organise a creative corporate event that will bring everyone together. You have to consider your culture, a brand, different personalities and age groups. Being a Millennial, I know how important it is to bond and connect with people you’re obliged to interact professionally every day. Sadly, the cultural norms of the majority of companies today actually work against our natural biological inclination of cooperation and belonging. Human-beings are instinctively wired for connection and belonging. And we want to feel it at work, too. How to boost staff morale? A friendly work environment is a great way to boost staff morale and productivity. When we are surrounded by people we like, it’s easier to get out of bed on Monday morning and motivate ourselves to give our best at work. If you’re looking to organise a corporate event that takes your employees completely by surprise and is genuinely entertaining, I’d recommend to check out Party Houses. They let you rent unique party houses in the most beautiful spots across the UK & Spain. This beauty in Somerset, UK anyone? 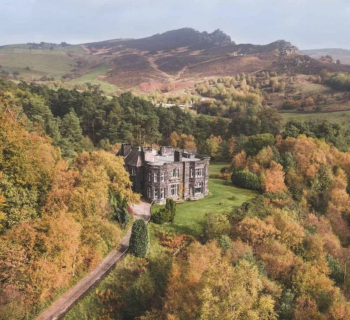 Or this castle in the Peak District, UK? 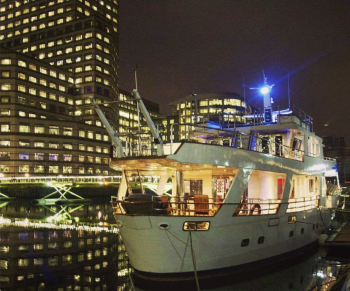 Or James Bond-themed party on a boat in Canary Wharf, London? 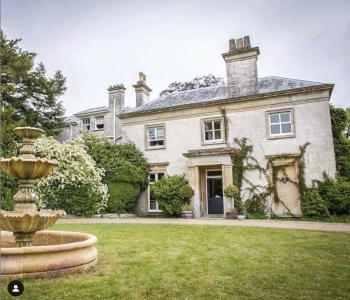 Party Houses has conference venues in the UK available for every taste. 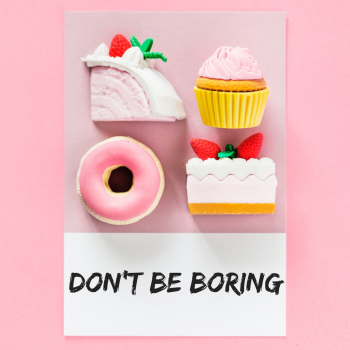 If you want to delight and surprise your employees, you need to offer something that will make them stop, put the phone down, and pay attention. And there’s no better way to do it than create an event that is truly memorable and high-energy. Below are 7 collaborative ideas that bring a wow-factor to your event’s programme. Give people something to anticipate and look forward to by keeping the location and the theme a secret. If a completely secret event won’t work for your company, consider using the “secret” concept to build suspense around certain elements of your event—for example, a particular speaker or an agenda. Hiring a magician is a great addition to your corporate event because magicians have incredible potential to entertain. 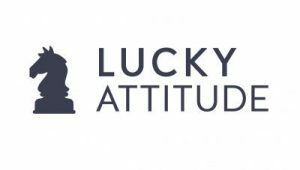 From card tricks to mentalism and mind-reading there is something for every taste. Comedy and corporate events are a match made in heaven because comedy has a universal crowd appeal. Laughter is an excellent ice-breaker and an easy way to bring a smile to people’s faces. You could incorporate a booth of interactive games for people to experience together. Using a VR headset and controllers, your guests can enter a parallel universe that isn’t otherwise logistical in your venue. VR is also highly adaptable, so you could opt for company-specific ideas that help with problem-solving and team-building tasks. Quizzes are convenient, interactive and they can be easily adapted to your industry or a party theme without guests needing to move seats. PS! You can always hire a party host, who will manage the activity, keeping it fast-paced and smooth. Start off with the first sentence of a story and ask guests to pass the mic and continue the narrative. To keep things interesting, introduce new characters and encourage attendees to react to plot twists creatively. This is a fun improv exercise, which will get everyone to pay attention and become less self-conscious. What would a corporate event be without a classic instant photo booth? This is a simple but thoughtful idea that could be set up easily with a special drop curtain combined with favourable lighting and you’ve got budget-friendly memories and plenty of branding opportunities. Look after your people, and they will look after you. Give them emotional investment and a sense of belonging they are calling for, and they will reward you with dedication, hard work and ultimately – loyalty. Make your next event something that people will remember for years.